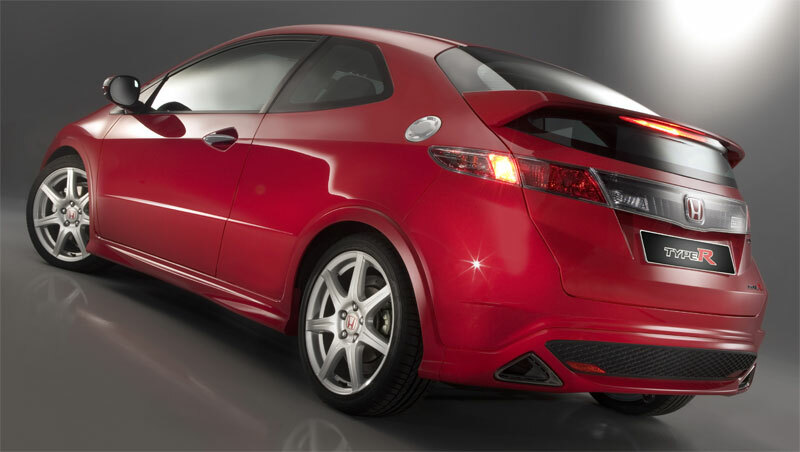 Home » Special Coverage » 2006 Honda Civic » 2007 Honda Civic Type R announced! Honda has announced the next generation 2007 Honda Civic Type R, which will go on sale in the European market in March 2007. It will be built in Swindon and will come in standard and GT trims, where the latter will feature more creature comfort equipment such as dual zone air conditioning, fog lights, and automatic rain and light sensors as well additional safety equipment in the form of curtain SRS airbags. The high revving K20 2.0L DOHC i-VTEC engine incorporates both variable valve timing and variable valve lift. The switchover point to the high-lift long duration cams is now lower at 5,200rpm, and if the orgasmic change in engine note is not enough, there is now an i-VTEC indicator on the dashboard meter panel (now illuminated in red instead of blue) which lights up when the high cams in use. Peak power is now 201PS at 8,000rpm instead of the previous 200PS at 7,400rpm. Compared to the previous Type R, the car is slightly heavier in terms of kerb weight but this is offset by shorter gear ratios. 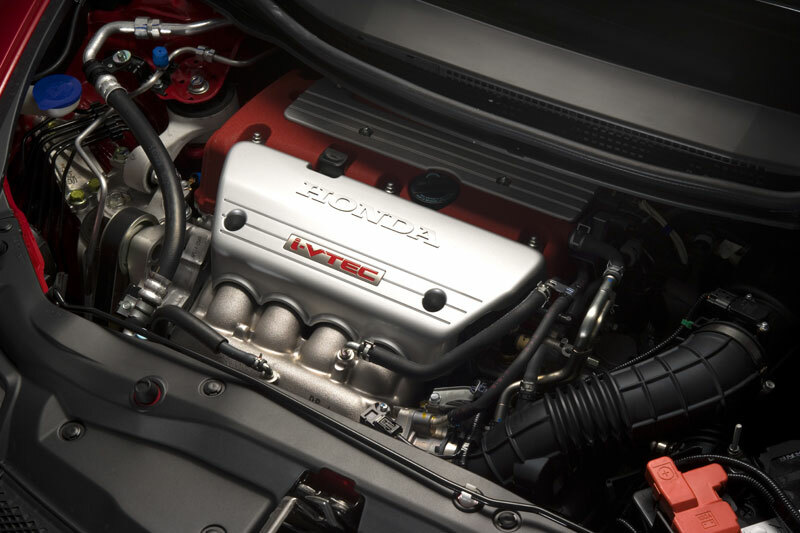 This allows the new Type R to match the previous generation’s 6.6 second 0-100km/h acceleration time and 235km/h top speed. 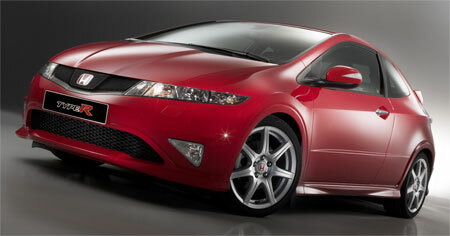 Suspension is based on the 3-door Civic Type S, but refined for sharper chassis dynamics. Tyres are 225/40/ZR18 which wrap 7-spoke 18 inch wheels, and rear track is 20mm wider than the 5-door model, another similiarity with the Type S. Sharper chassis dynamics is achieved via a 15mm reduction in ride height, extra strenghtening into the floor cross member just ahead of the central fuel tank, around the upper front suspension mountings, while the lower cross member (just ahead of the engine bay) provides greater rigidity. There are also news of an upcoming Civic Type RR, which is tuned more for the track – it will have bigger brakes, and a lightened chassis, etc. More photos after the jump, and enlarged versions are available by clicking on the smaller photo. Next Post: Cars an extension of our egos?